Get ready. 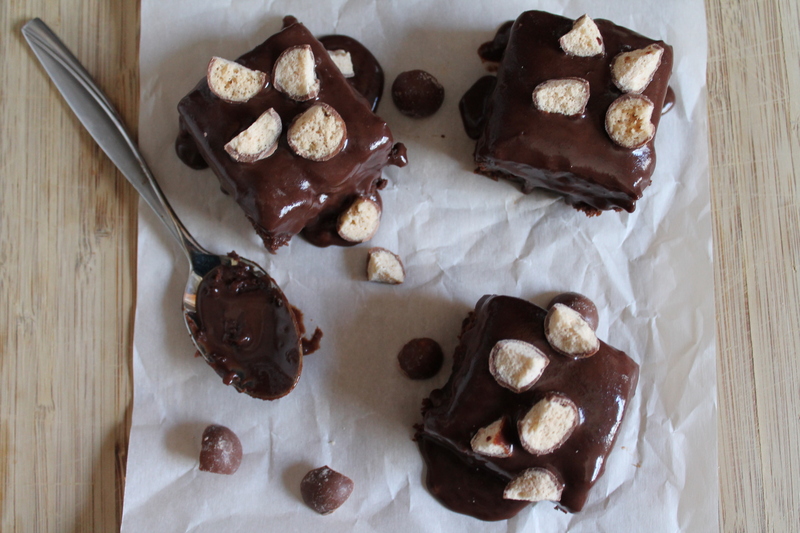 These brownies are all kinds of amazing. The actual brownie part is fudgy and malt chocolate flavored and full of chewy pockets of baked-in malt balls. Topped off with a rich ganache and more malt balls? Are you running for the kitchen yet? Are you checking your cupboards for that enormous, movie-size box of Whoppers you bought a month ago to see if there are any left? 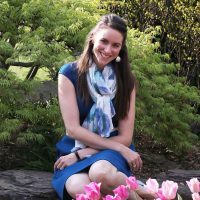 So last week I went to New York City with my husband to celebrate our 5-year anniversary. Let’s just say it was a fairly glorious week. I ate my weight in delicious foods: pizzas, croissants, bagels, salmon, mac and cheese, many glasses of wine, chocolate of all kinds. And while I brought my computer along—with the best of intentions to write a post or two in between museums and Broadway shows and bike rides to Coney Island—instead I spent a lot of time kicking back and reading somewhat silly dystopian fantasy novels (guilty pleasure). It was, as I already mentioned, glorious. I’ve been having kind of a hard time cramming myself back into reality. The doing dishes and the folding laundry and the weeding. The eating of things that are not slices of pizza the size of my entire head. So I thought I would start slow here. I thought I would ease back into the kitchen with something incredibly healthy (because I would like to fit into my clothes) and pretty simple, something that makes a great lunch day after day and helps me to feel more like myself (and less like an overstuffed lobster). That’s right. The lentil sandwich. Don’t turn up your nose at this! Listen, it may not sound intuitive (not like, say, cake truffles), but the tangy yogurt, nutty crunch, and salty cheese stirred into those lentils will please any palate! 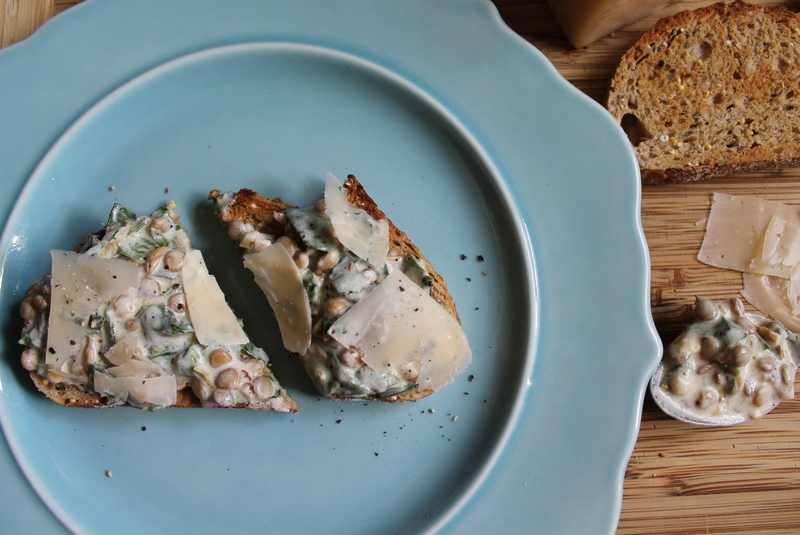 Like a lentil-y pesto on bread. Yum. Warning: I am about to get a little dorky. They are aiming for presence and balance of the five tastes: sweet, sour, salty, bitter, and umami (savory). (Okay, spicy isn’t one of the sensory tastes, but it’s pretty important to throw heat into the mix, too.) Balance is a key trait of delicious food, which trained chefs learn early on. Another key trait of excellent food is diversity of textures: creamy, soft, chewy, crisp/crunchy. I know this. You probably know this. Well balanced food is hard not to love! So there is really no explanation for the doubts I had when I first found this recipe. 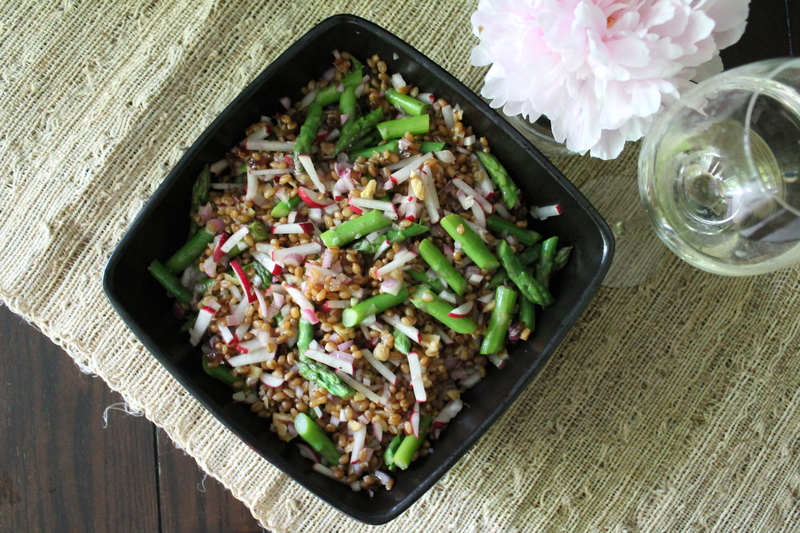 I was just so skeptical…but thank God I followed it to a T, because folks, this wheatberry salad is simply perfect. There is no other word for it. Don’t you turn your nose up at adding chopped dates or think about skipping the pickled shallots. The first mouthful will win you over, no question. I sometimes joke that my entrance exam into my husband’s family was learning the recipe for rhubarb pie. 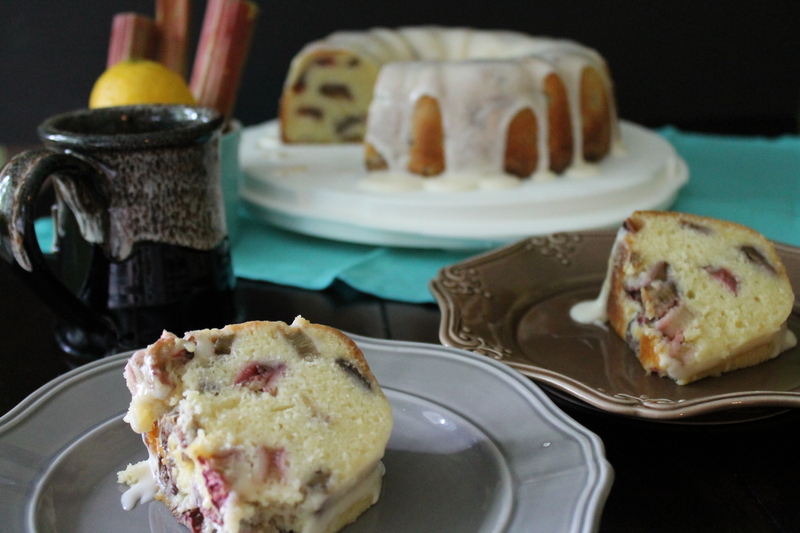 But he has never even batted an eye at my suggestions of non-pie rhubarb desserts…until one day last week, when he suddenly looked up and asked me to make him a rhubarb coffee cake. You could have knocked me over with a feather. I thought about returning this big crumb coffee cake to its original rhubarb glory, but then I stumbled across a recipe for a lemony Bundt cake (oh! It’s a cake!) full of chunks of rhubarb and I got kind of dorkily excited. The first time I ever tried paella, it was a very weird experience. I had always avoided true, authentic paella because I don’t eat land critters. But shortly after Jake was born, I found myself sitting in a little restaurant in Williamsburg that offered a fish-only “seafood paella.” Boy was I excited! And as soon as my bowl of soup arrived, boy was I confused. The meal was delicious, spicy and flavorful, full of shellfish (and yes, a layer of rice at the bottom). But…it definitely was not paella. I now know, thanks to Suzanne of Thru the Bugs on My Windshield, that I spent that strange evening enjoying a bowl of cioppino. 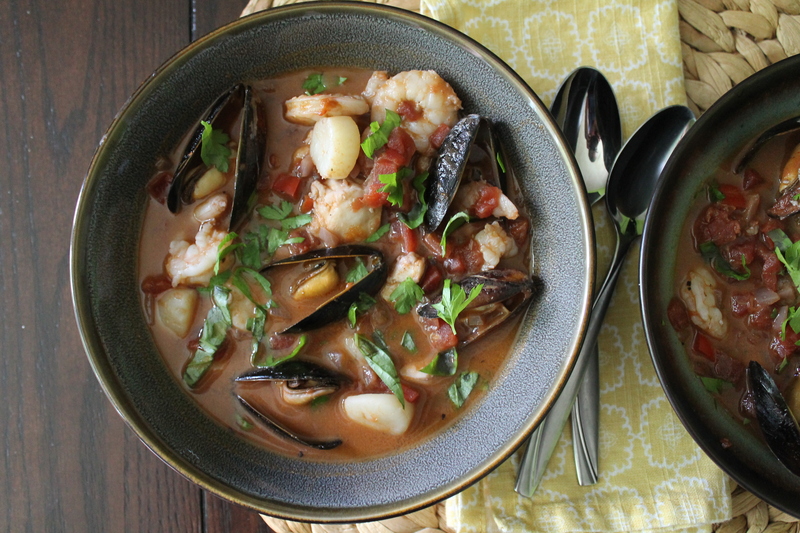 Cioppino is a hearty seafood soup with a rich, winey tomato broth. And yes, you should go make a big bowlful for yourself right away! I must say, I love ice cream. I love it all year long! I heard the ice cream truck touring through the neighborhood a few days ago and I knew it was time to get the ice cream maker out of the freezer (where it always lives, just in case I need to make ice cream on a moment’s notice) and do something delicious. 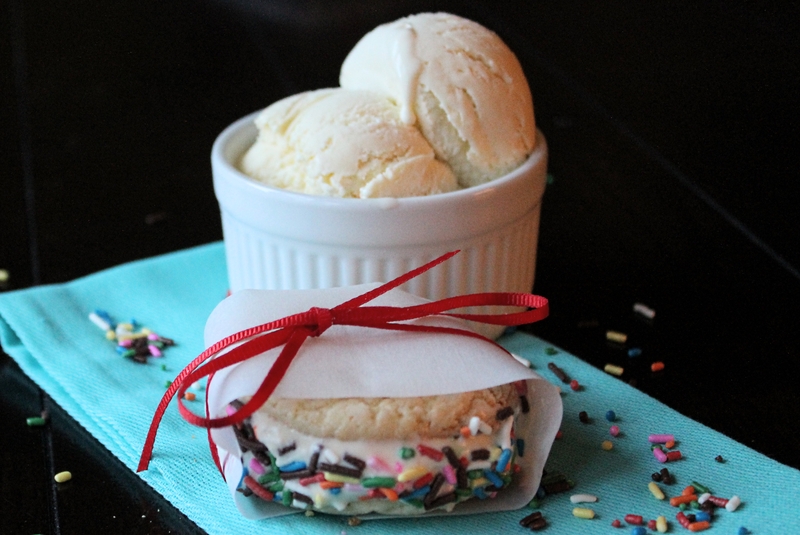 One of my all-time favorite ice cream flavors is cake batter. Back in the day when I first moved out on my own, I used to buy box cake mixes specifically so I could snack on spoonfuls of cake batter (don’t judge me…you know you love cake batter, too…). And when you add that unmistakable flavor to ice cream? It’s pretty much perfection. 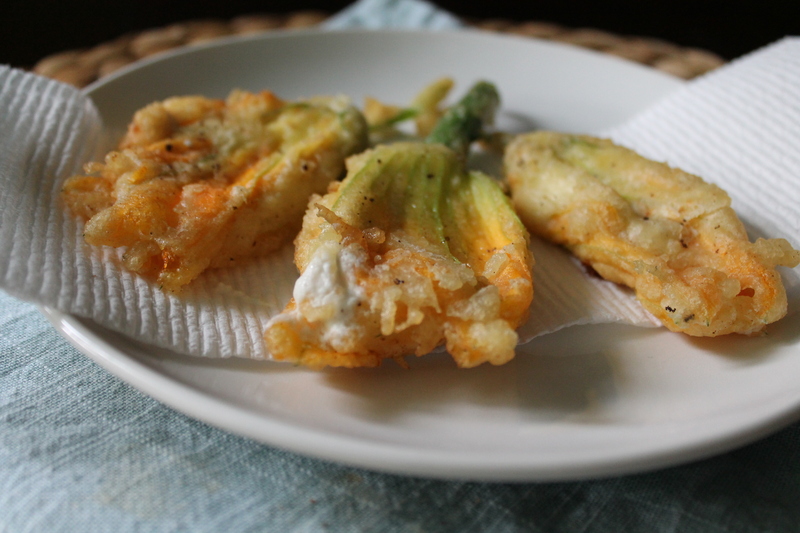 Zucchini blossoms are a definitively Spring-season foodie find. (Although, I believe all types of squash produce yummy blossoms…so stay tuned for potential acorn squash blossom goodness, grown by yours truly, later on!) Zucchini, which ripen around these parts in early Summer, bloom with delicate and completely edible flowers in the Spring. And, um, did you know that there are girl flowers and boy flowers? (I felt a little like I was at a middle school dance or health class when I typed that.) That’s right, flowers have gender, and girl flowers come complete with tiny, baby zucchinis attached. Which, obviously, grow into adult-size zucchinis if you don’t cut them off the vine to eat the tender blossoms first. And although you may want to save some of your zucchinis for actual zucchini purposes later on, like zucchini and corn tacos or zucchini bread, you should definitely select a few of those blossoming beauties to snip early and eat this Spring. This delicious dish is dedicated to Jessica, who furnished me with home-grown, organic squash blossoms and a bunch of my favorite herbs. Just because she’s awesome.